Epiphany coming from the Greek word epiphaneia, meaning appearance or showing is much older than Christmass. It began to be celebrated in the Eastern Church in the 3rd C. when four manifestations of Christ were commemorated: to the shepherds, to the kings or magi, at His baptism and in His first miracle at Cana. 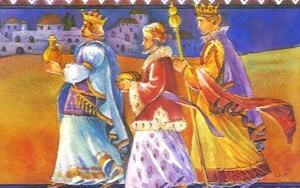 Later the first manifestation of Christ became known as Christmass in the Western Church and its date was fixed in 440, and Epiphany celebrated the coming of the Magi to the Christ-Child. 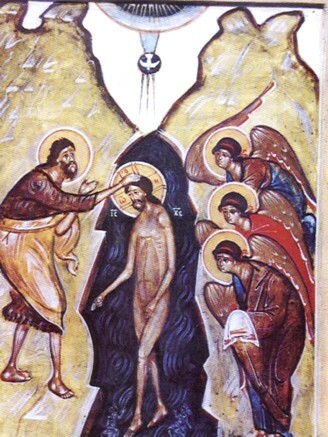 The Baptism and the first miracle are commemorated on the two successive Sundays after Epiphany. So in fact the Epiphany has been extended by two weeks in the modern Roman missal. In this celebration we observe the ancient keeping of the four showings of Christ. L. To-day begins to be the one who has no beginning; and the Word of God becomes human. L. To-day in Bethlehem Christ is born of a Virgin. L. On this day the shepherds hasten to the manger after the angel's message of the birth of Christ. L. On this day led by the star the magi worship the Christ-Child and present their gifts. L. On this day Jesus is manifested as the Son of God in the waters of Baptism in the company of His Father and the Holy Spirit. L. On this day water is turned into wine by Mary's Son at a marriage in Cana. L. Glory to God in highest heaven, and on earth peace among those whom he favours. L. I bring you good news of great joy; a Saviour has been born to you. Alleluia. R. Unto us a child is born, a son is given. Alleluia. When the angels had gone from them into heaven, the shepherds said to one another, 'Let us go to Bethlehem and see this thing that has happened which the Lord has made known unto us.' So they hastened. And found Mary and Joseph, and the babe lying in a manger. L. He is Christ the Lord. Alleluia. R. We worship and adore Him. Alleluia. The hymn "While shepherds watch their flocks by night." Without one thought of day ? 'Twas there first shown to you ? And long'd to see, but miss'd. Their day was dark and dim. L. Arise, shine, for your light has come. Alleluia. R. And the glory of the Lord has risen upon you. Alleluia. And when the [magi] were come into the house, they saw the young child, with Mary his mother, and fell down and worshipped him; and when they had opened their treasures, they presented unto him gifts: gold, and frankincense, and myrhh. L. The Lord will be your everlasting life. Alleluia. R. Your God will be your splendour. Alleluia. The hymn "As with gladness men of old." Prayer: O God who by the shining of a star led the magi to Bethlehem to worship your Son, direct by His light the nations of this world, that the whole of mankind may behold your glory; through Christ our Lord. Amen. L. This day is Christ revealed as the Christ. Alleluia. R. In the waters of baptism. Alleluia. Jesus came from Nazareth and was baptised by John. And straightway coming out of the water, he saw the heavens opened, and the Spirit like a dove descending upon Him. And there came a voice from heavens, saying, This is my beloved Son, in whom I am well pleased. L. I will sprinkle clean water upon you. Alleluia. R. And purify you from all defilement. Alleluia. The hymn to Tallis Canon "The sinless one to Jordan came." [Father] On the banks of the Jordan your voice resounded in the roll of thunder coming from heaven making manifest the Saviour, showing yourself as Father of eternal light. appearing in the form of a dove. and brought back to the glory of heaven. Prayer: Almighty God who revealed Jesus as His Son at His Baptism and anointed Him with the Holy Spirit, give to us who have been baptised by water and the Spirit, the grace to serve you faithfully all our lives through Your Son, Jesus Christ. Amen. L. Behold I make all things new. Alleluia. R. Whatever He says to you, do it. Alleluia. Jesus said unto the [servants], Fill the waterpots with water. And they filled them up to the brim. And He said unto them, Draw out now, and take unto the master of the feast. When he had tasted the water now made into wine. He called the bridegroom and said unto him, Every man at the beginning does set forth good wine; and when men have well drunk serves worse wine, but you have kept the best until now. L. To the thirsty I shall give water without price. Alleluia. R. From the fountain of the water of life. Alleluia. Hymn: "Songs of thankfulness and praise." but the wine - the utterance of praise - at our feast has failed. fill my mouth with your praise. from those who drank it and beheld the wonder. 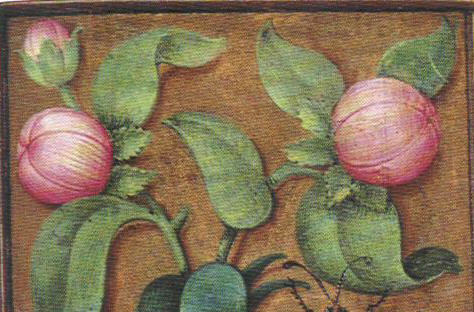 but the ten thousand ears with its sweetness. 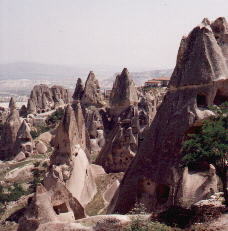 your guests are the senses and the thoughts. how great is your banquet for the whole Church! Prayer: Almighty God in Christ you make all things new, transform the poverty of our nature by the richness of your grace, so that our good works will always be bountiful in the service of others, through Christ our Lord. Amen. Here either the Benedictus or Magnificat is said or sung depending on when this service is prayed. L. To-day the shepherds adored you and your Mother. R. Let the hearts of all Christians be filled with great thanks for the birth of our Saviour. 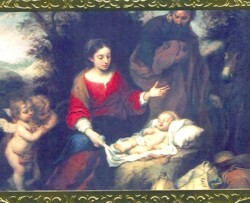 L. The shepherds went in haste to see the Christ-Child. R. Let all Christians put you first in their loves. R. Grant to Christians everywhere a true spirit of adoration. at the beginning of this new year. R. Grant to Christians everywhere the faithful keeping of baptismal vows. L. At your baptism the Father was well-pleased, and the Holy Spirit acquiesced. R. Grant to Christians a true belief in the Trinity. 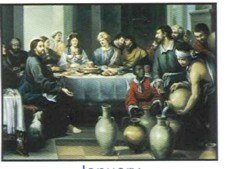 L. To-day at the wedding at Cana, you manifested that you can renew all things. R. Grant to Christians a true belief in your word. R. Grant an abundance of peace to your world. R. Protect in your mercy our neighbours and our families, together with the whole community of which we are part. R. Show your love for the poor and powerless, and strengthen (... and all) who suffer. give to (... and all) the faithful departed the wonders of your salvation. L. Rejoicing in the fellowship of the wise men, shepherds, and angels, and of the Blessed Virgin Mary and Saint Joseph, we commend ourselves and all Christian people to your unfailing love. + May the blessing of God Almighty, the Father, Son and Holy Spirit be with us now and forever. In the mystery of our Lord's incarnation there were clear indications of his eternal Godhead. Yet the great events we celebrate today disclose and reveal in different ways the fact that God himself took a human body. Mortals, enshrouded always in darkness, must not be left in ignorance, and so be deprived of what they can understand and retain only by grace. 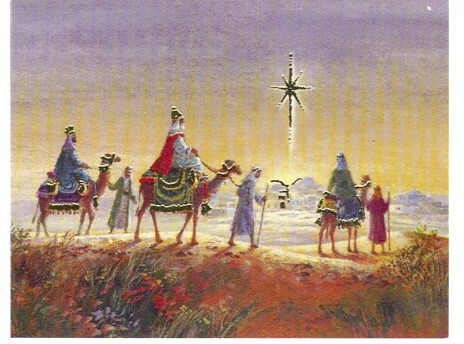 Today the Magi find, crying in a manger, the one they have followed as he shone in the sky. 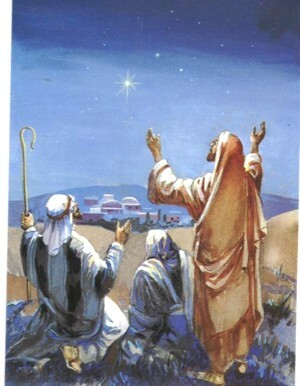 Today the Magi see clearly, in swaddling clothes, the one they have long awaited as he lay hidden among the stars. Today the Magi gaze in deep wonder at what they see: heaven on earth, earth in heaven, humankind in God, God in human flesh, one whom the whole universe cannot contain now enclosed in a tiny body. As they look, they believe and do not question, as their symbolic gifts bear witness: incense for God, gold for a king, myrrh for one who is to die. So the Gentiles, who were the last, become the first: the faith of the Magi is the firstfruits of the belief of the Gentiles. Today Christ enters the Jordan to wash away the sin of the world. John himself testifies that this is why he has come: 'Behold the Lamb of God, behold him who takes away the sins of the world.' Today a servant lays his hand on the Lord, a man lays his hand on God. John lays his hand on Christ, not to forgive but to receive forgiveness. Today Christ works the first of his signs from heaven by turning water into wine. But water has still to be changed into the sacrament of his blood, so that Christ may offer spiritual drink from the chalice of his body.